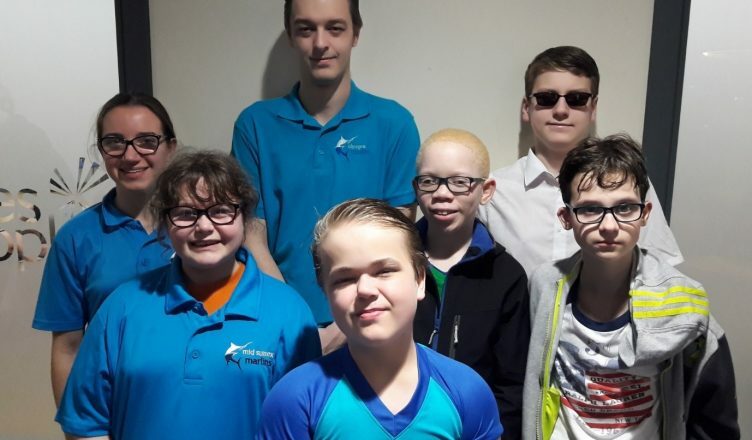 Mid Sussex Marlins SC were once again proud to be represented at the Swim England South East Regional Disability Open Competition in Southampton, at the end of March, by seven of their Club swimmers, with excellent results. Richard Sambrook had a very busy afternoon, swimming in seven events and achieving personal bests (PB’s) in four of them. Louis Moyes (S7 classification) had some great swims showing that the additional training he is doing is paying off. He gained five significant PB’s out of the six events he competed in. Alfie Penfold (S12 classification) had an amazing 2.5 sec PB in the 50m freestyle. 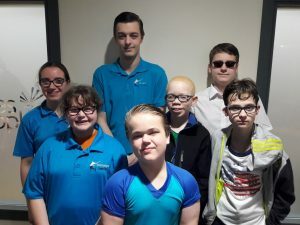 Unfortunately he was disqualified in the 50m breaststroke for going too early at the start, but otherwise had very good swims in his other two events. Fabienne Andre (S8 classification) was competing with the aim of getting close to her personal best times, and was very pleased with her 100m freestyle time. She swam in four other events, the toughest being the 400m freestyle, and swam a very solid race. Newcomers to this level of competition were Domenico Capaldi-Drewett, Charlotte Gray and Kiitan Bayo-Awonaike. Domenico excelled in all his races, gaining huge PB’s in all four events. Charlotte achieved PB’s in two of her four events, and Kiitan gained one PB out of four. Kiitan had a good reason for being a bit weary as he had already competed in the MSM teaching groups development gala earlier in the morning! All swimmers had a wonderful afternoon of racing, and also getting to know each other.